When it comes to heart disease, there’s good news and bad news. 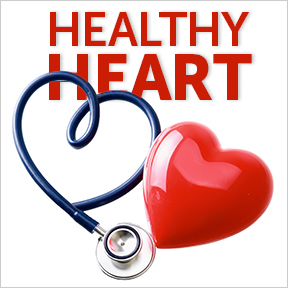 The bad news is that heart disease remains the leading cause of death for both men and women. The good news is that cardiovascular disease is largely preventable with healthy lifestyle choices. While some risk factors like age and family history remain, even modest changes to your diet and lifestyle can improve heart health and lower disease development risk by as much as 80 percent. Modifiable risk factors such as improved diet, regular exercise and not smoking are ways to help control the risk of heart disease and improve cardiovascular and overall long-term health. Did you know that the heart does more physical work than any other muscle in the body? Or that the average heart pumps 2,000 gallons of blood each day? Or that in a 70-year lifetime, the average human heart beats more than 2.5 billion times? With a workload like that, it’s little wonder our hard-working hearts could use a little support. Adequate daily magnesium intake has been shown to have therapeutic value in treating conditions such as headaches, chronic pain, sleep disorders, and asthma. Sufficient magnesium levels are linked to reduced incidences of hypertension, metabolic syndrome, diabetes, and very importantly, heart disease. The body needs magnesium for steady heart rhythm, normal nerve and muscle function, healthy immune response, hormone synthesis, gene maintenance, and bone health. Magnesium is a required cofactor for hundreds of enzymes that regulate diverse cellular and biochemical reactions, including blood sugar, blood pressure, energy metabolism, and protein synthesis. Sufficient magnesium is critical for cardiovascular health and calcium balance. Contrary to the belief that cholesterol and saturated fat play the biggest roles in heart disease, a review of studies dating back to 1937 revealed that low magnesium levels are linked with all known cardiovascular risk factors and symptoms of heart disease. 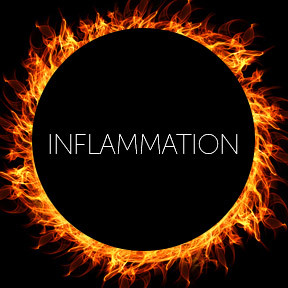 These include high blood pressure, arterial plaque buildup, soft tissue calcification, atherosclerosis, heart arrhythmia, and angina, as well as heart attack. While it would seem that sufficient magnesium could be obtained through diet, crops are grown in magnesium depleted soil, and the ability to absorb and utilize this key mineral is affected by age and each individual’s state of heath. Studies suggest that for up to 75 percent of Americans, magnesium deficiency is the norm, rather than the exception. The typical American diet, high in sugar, salt, and unhealthy fats, is not only deficient in nutrients, but may actually elevate the need for magnesium. An excessive intake of unhealthy fats reduces magnesium absorption in the intestines, high sugar intake increases excretion of magnesium by the kidneys, and phosphates found in carbonated beverages bind magnesium, rendering it unusable by the body. In addition to improper diet or malnutrition, common causes of low magnesium include malabsorption issues associated with illness, chronic conditions and aging, alcohol use, and high blood calcium levels, as well as many pharmaceuticals and OTC medications, including antibiotics, antacids, corticosteroids, oral contraceptives, blood pressure drugs, heart medications, and hormone replacement therapy. The list of common symptoms of magnesium insufficiency is long and varied and includes muscle cramps, twitches and weakness, osteoporosis, fatigue, abnormal eye movements, chronic inflammation, and increased risk of depression and anxiety. When untreated, low magnesium levels can be a life-threatening emergency that can lead to cardiac and respiratory arrest. Long recognized as a sleep aid and muscle relaxant, you can enhance your body’s absorption and utilization of magnesium by reducing alcohol and processed food intake, and increasing magnesium-rich foods such as nuts, avocados, legumes, whole grains, leafy greens, fatty fish and tofu. 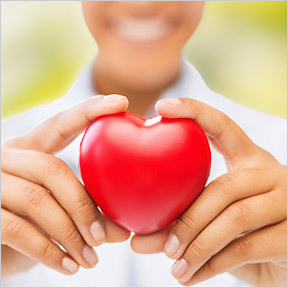 Getting sufficient magnesium is essential for maintaining long-term overall and cardiac health. As even those with a balanced diet rich in magnesium sources can suffer from deficiencies, high quality supplementation of this commonly deficient essential mineral can help ensure optimal bodily function, as well as improve mood and support relaxed, peaceful sleep. Magnesium Citrate by Professional Supplement Center: This Non-GMO formulation provides magnesium in a highly absorbable chelated form in support of proper nerve, muscle, and healthy metabolic function. Chelated Magnesium by Douglas Laboratories®: This product supplies elemental magnesium in the form of magnesium amino acid chelate in support of a wide range of fundamental cellular reactions. Gluten, wheat, soy, dairy, corn, sodium, sugar, starch, and artificial ingredient free, vegan formulation. Magnesium Chelate by Designs for Health: This product supplies TRAACS® magnesium bisglycinate chelate, a highly absorbable and bioavailable form of elemental magnesium that is less likely to cause unfavorable gastrointestinal symptoms that other forms. Gluten free, Non-GMO formulation. Magnesium (Citrate/Malate) by Pure Encapsulations®: This naturally derived highly bioavailable magnesium chelate provides broad spectrum cardiac support and promotes healthy glucose and bone metabolism. Gluten and soy free, Non-GMO vegetarian formulation. Magnesium Glycinate Plus by Integrative Therapeutics®: This popular product provides well-tolerated highly absorbable, triple-form magnesium for maximum utilization, in support of cardiovascular, muscular and neurological function. Gluten, wheat, dairy, sugar, yeast and artificial ingredient free, vegetarian formulation.